Works from Magne's 2004 series "Payne's Grey" are a permanent feature in the New York store "DSMNY". 18 The first single from Morten's sixth solo album "Brother", the title track, is released in Norway as a download only. Morten performs his new single "Brother" at the Spellemann Awards in Norway. 25 Magne opens his new Beatles-themed solo exhibition "Norwegian Wood Remix" at Kunstgalleriet in Stavanger, Norway. It includes a new series of oil paintings. All works from the exhibition are sold within two days. 31 Morten is guest on the TV talkshow Skavalan, he is interviewed and performs an acoustic version of "Brother". 8 Paul shares his new song "Manmade Lake" on a-ha.com. This track was included on an early track list for a-ha's album "Foot Of The Mountain". 14 The song "Undo My Heart" by Tini is released by Vox Watch, the UK-based artist development company owned by Magne and Martin Terefe. 24 Morten does a 30 minute performance at Studio 1 in front of around 120 fans. He performs: Brother, Do You Remember Me, Spanish Steps, Safe With Me, Whispering Heart, A Kind of Christmas Card and There Is A Place. 26 Questions from fans are sent to Paul via a-ha.com, he answers these questions in early March. At the beginning of March, Magne is at Abbey Road Studios with the Norwegian band "Hvitmalt Gjerde" to record music for "Beatles" movie (adaption of the book "The Beatles" by Lars Saabye Christensen) which will be released on 29 August. Paul makes "Manmade Lake" available for fans to remix. 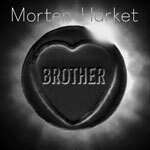 Morten's video for "Brother" premieres in Germany and Norway. It was filmed in Los Angeles and directed by Harald Zwart. The video was inspired by the 1975 movie "Äget är löst" produced by the Swedish comedians Hasse and Tage, it features Morten submerged in a lake with water up to his chin. 6 Morten is guest on the UK radio show "Sounds Of The 80s". 7 Morten is interviewes on "Weekend Wogan" on BBC Radio 2. 11 Morten's album "Brother" is released in Norway, Germany, Switzerland and Austria. 14 "Brother" is released in the UK. 17 Morten is scheduled to appear on Dermot O'Leary's show on BBC Radio 2, but this is cancelled due to Morten's throat infection which causes his Paris and London shows to be postponed. Norwegian singer Linnea Dale releases her second album "Good Goodbyes" which includes three songs written by Paul Waaktaar-Savoy. The songs are "Better Without You", "Sweet Life" and "With Eyes Closed". The song "You Can't Have It Both Ways" by Tini was written and co-produced by Magne. The test mix (unmastered) of the song is previewed to fans for comment. Magne's woodcut "Let It Be Me" is selected for the Summer Exhibition at the Royal Academy, London. Magne and Tini are guests on the Norwegian TV show "Senkveld" to promote Tini's debut album "Undo My Heart" (released 3 October). 13 Magne is in London and performs with Tini at Kensaltown Studios for her album launch party. 23 Apparatjik are in Fosnavåg for two performances with KORK at the opening of the Fosnavåg konserthus. 29 Launch of the limited edition bottle and packaging for the cognac producer braastad designed by Magne Furuholmen with graphic designers at snøhetta. 15 Morten performs "A Kind of Christmas Card", "There is a Place" and "A Change is Gonna Come" at Marita Foundation’s 30th Anniversary concert at Salem Church in Oslo. 11 Release of the book of poems written by Jon Ståle Ritland "I bane rundt en gul ball" ("In orbit around a yellow ball") for which Magne created the cover.